Why was FTL: Advanced Edition free? ...whereas today some of the video games in your library have credit rolls that are longer than most of the movies you watch. Maybe you are saying, “Hey Randomsome! FTL does have an extremely long credit sequence,” but I know you are not really saying that, because you know the credits are only that long because they include the names of all of the backers who paid over $40 to the Kickstarter campaign. They had over 1,000 backers who fit that profile. Subset was able to release Advanced Edition as a free upgrade for all FTL owners. They have a generous fan base throwing money at them, and they are missing the dozens of people that other development and production teams need to pay when additional content is produced. An example of a big game that did not release a huge free expansion (and there are far more games that did not do this than have done it) is XCOM: Enemy Unknown. A game made by Firaxis, i.e. a big company. I want to specifically refer to the Enemy Within expansion here. Enemy Within is great. It made a great game even greater in a similar way as the new content included in FTL: Advanced Edition. It also cost you more money if you had already paid for Enemy Unknown (one exception where it was released as a free update might have been the iPad version, but I couldn’t find verification on that as quickly as I would have liked.) Firaxis is not a bad actor in this situation. They made a good product and need to be paid to sustain the production scale they employ, and those circumstances dictate the different release strategy. I am sure there are many other similar stories, as well as stories that buck the trend. I am personally less familiar with them, but Amplitude’s line of Endless games (Endless Legend, Endless Space, Dungeon of the Endless) seem to have slightly larger development teams, and are games that continually release free additional content. There are other examples similar to Subset with FTL: Advanced Edition. Another game that has additional content released for free is Shovel Knight by Yacht Club Games. This is where an (questionably) interesting bit of psychology enters the situation. 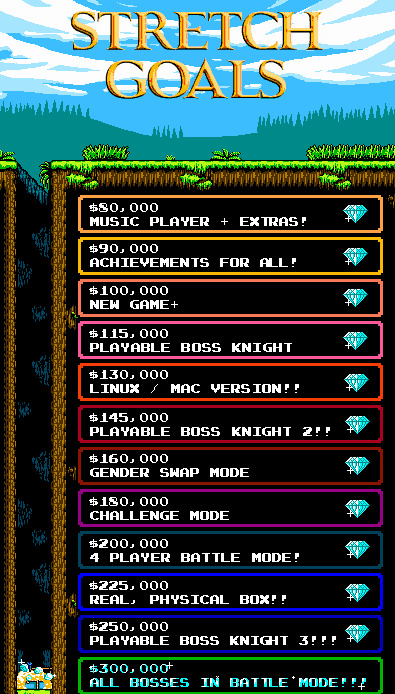 Yacht Club (another small development team) promised all of this additional content as stretch goals on their Kickstarter campaign. Thanks for reading, and special thanks to Subset Games and Yacht Club Games for making games that are so good I spent my Saturday afternoon writing about them. Feel free to let me know what you think. Did I get any of facts wrong and you want to yell at me? Or maybe say which developers you think go the extra mile? You can also check out my other articles about The Legend of Zelda franchise, or any of the other topics I (will eventually) share with the world... so... THANK YOU!!! !